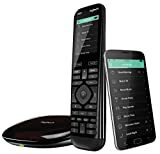 Logitech 996-000118 Harmony Smart Control with Smartphone App and Simple Remote - Black Easily control entertainment devices?even ones in closed cabinets Logitech Harmony Smart Control (Re-certified) Turn Your Smartphone Or Tablet Into a One-Touch Universal Remote. Now you can control your entire entertainment system with the smartphone or tablet you already own. The Harmony Hub combined with a powerful app give you personalized control of up to eight devices?even through closed cabinets and walls. Plus, you get a simple Harmony remote for everyone in the house when your smartphone isn?t handy. What does ?Re-certified? mean? 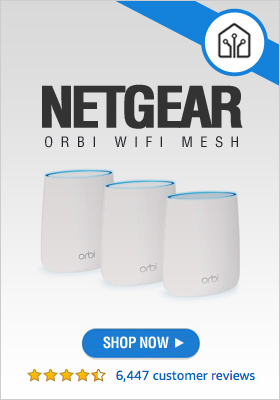 This product is pre-owned, certified to be free of defects, comes with a 90-day limited hardware warranty and free access to online product support forums. Email and voice product support is also available on an additional cost?per-inquiry basis. Product features Harmony App for easy tap-and-swipe entertainment control using your smartphone or tablet* | RF control of devices inside closed cabinets and behind walls | Controls up to 8 devices including cable TV boxes, Apple TV, Roku, Sonos, Amazon Fire TV, Phillips hue, Xbox One, PS3 and TV-connected PC or Mac | Powerful customization, including 50 Favorite channel icons**, creating one-touch activities and re-ordering buttons | Also includes handheld universal remote for the household | Works with over 270,000 devices | Easy online setup (*Compatible with iOS 6.0 or later and Android 4.0 or later. **Channel availability subject to your local service provider.) Replaces multiple remotes. Controls devices you own today and add tomorrow. Smart control Harmony Hub turns RF signals from the remote into IR or Bluetooth commands your devices can understand and can?t see?behind closed cabinet doors or walls. Control up to 8 devices including your PS3, Wii or Xbox One, plus your Internet subscription services, like Netflix or Hulu. Harmony supports 270,000 devices from 6,000+ brands, including devices you own today and add tomorrow. Harmony?s online device library makes it easy to update your smartphone and remote with new devices and commands. Music, movies and lighting at your fingertips View larger Controls Sonos, Amazon Fire TV, Apple TV or Phillips hue Control your Sonos* with Harmony App to play, pause, change volume or launch your Sonos Favorites. Control Philips hue lights** by integrating lighting control into your Harmony activities like Listen to Music, Play a Game or Watch a Movie. Imagine starting a Watch TV activity and your hue lights automatically dim to your favorite accent lighting settings. You can control Amazon Fire TV, too. Just launch the Harmony App, add Fire TV, and create a Watch Fire TV Activity. (*Sonos music player sold separately. **Phillips hue lights sold separately. Online setup required.) Easily find entertainment with your smartphone keyboard View larger Find your content faster Now you can avoid frustrating on-TV keyboards. Use your smartphone/tablet keyboard or speech recognition capability with the Harmony App to find your content faster on Apple TV, Roku or Amazon FireTV. Also works with Windows PCs and Macs. Turns your smartphone into a Harmony controller View larger Harmony App for smartphone or tablet Anyone in the house can download the app and turn their smartphone or tablet into a personal universal remote. With one-touch activity control, you just tap ?Watch TV? or ?Watch a Movie? and Harmony powers on the right devices to the right settings. Simply swipe and tap to change channels, adjust volume, fast-forward and rewind. Plus, you can organize and re-order buttons, activities, and up to 50 Favorite channel icons* the way you like them?right on your smartphone. (*Channel availability subject to your local service provider.) Simple setup right on your smartphone View larger Easy guided online setup Simply download the Harmony App to your computer or your iPhone 4S or later or Android smartphone with Bluetooth Smart Technology. Screen prompts make it easy to set up your app and remote with commands for your devices. Live customer support is ready to help if you need it on an additional cost-per inquiry basis. Universal remote for times when your smartphone isn?t handy View larger Comes with a handheld remote for the house This simple all-button Harmony universal remote gives everyone at home easy control of your entertainment system when your smartphone or tablet isn?t handy. It also works with Harmony Hub for control of devices in closed cabinets. 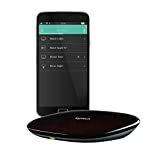 Logitech Harmony Elite is the most powerful and intuitive Harmony remote that works with Alexa. It controls up to 15 devices for seamless control of your entertainment ? and your home. The all-new design keeps the best features from its predecessors?color touchscreen, motion sensing, and vibration feedback?and adds an improved button layout, voice integration, dedicated connected home buttons, and a replaceable, rechargeable battery with 20% greater capacity. Logitech Harmony Companion Whole Home Remote Control, Hub and App (915-000239) Number of Devices Supported: 8 Programmable: Yes System Requirement: For mobile setup iOS: iPhone 4S or later, iPad (3rd generation or later), iPad Mini, iPod touch (5th generation or later) device with iOS 6.0 or higher or Android: Wi-Fi enabled smartphone with Android 4.0 or later Bluetooth Smart technology iOS or Android device For online setup Windows based PC: Windows 8, Windows 7, or Windows Vista or Intel based Mac OS computer: Mac OS X 10.6 or higher Harmony App: download from Apple App Store or Google Play Internet access Wi-Fi* *Supports 802.11g/n, WPA Personal, WPA2-AES and 64/128-bit WEP encryption Dimensions: Remote (H x W x D): 7.34" x 1.22" x 2.2" Hub (H x W x D): 4.88" x 4.13" x 1" Weight: Remote Weight: 5.64 oz. Hub Weight: 3.9 oz. Easily control entertainment devices?even ones in closed cabinets Logitech Harmony Smart Control TURN YOUR SMARTPHONE OR TABLET INTO A ONE-TOUCH UNIVERSAL REMOTE. Now you can control your entire entertainment system with the smartphone or tablet you already own. The Harmony Hub combined with a powerful app give you personalized control of up to eight devices?even through closed cabinets and walls. Plus, you get a simple Harmony remote for everyone in the house when your smartphone isn?t handy. Product Features Harmony App for easy tap-and-swipe entertainment control using your smartphone or tablet* | RF control of devices inside closed cabinets and behind walls | Controls up to 8 devices including cable TV boxes, Apple TV, Roku, Sonos, Amazon Fire TV, Phillips hue, Xbox One, PS3 and TV-connected PC or Mac | Powerful customization, including 50 Favorite channel icons**, creating one-touch activities and re-ordering buttons | Also includes handheld universal remote for the household | Works with over 270,000 devices | Easy online setup ( *Compatible with iOS 6.0 or later and Android 4.0 or later. **Channel availability subject to your local service provider. ) Replaces multiple remotes. Controls devices you own today and add tomorrow. 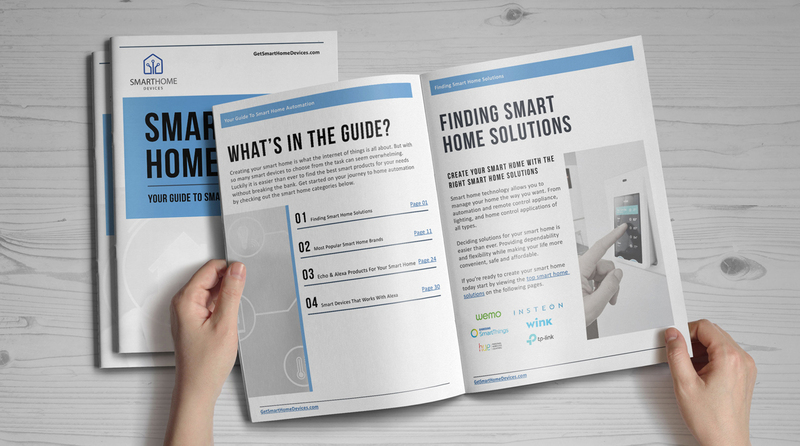 Smart control Harmony Hub turns RF signals from the remote into IR or Bluetooth commands your devices can understand and can?t see?behind closed cabinet doors or walls. Control up to 8 devices including your PS3, Wii or Xbox One, plus your Internet subscription services, like Netflix or Hulu. Harmony supports 270,000 devices from 6,000+ brands, including devices you own today and add tomorrow. Harmony?s online device library makes it easy to update your smartphone and remote with new devices and commands. Music, movies and lighting at your fingertips View larger Controls Sonos, Amazon Fire TV, Apple TV or Phillips hue Control your Sonos* with Harmony App to play, pause, change volume or launch your Sonos Favorites. Control Philips hue lights** by integrating lighting control into your Harmony activities like Listen to Music, Play a Game or Watch a Movie. Imagine starting a Watch TV activity and your hue lights automatically dim to your favorite accent lighting settings. You can control Amazon Fire TV, too. Just launch the Harmony App, add Fire TV, and create a Watch Fire TV Activity. (*Sonos music player sold separately. **Phillips hue lights sold separately. Online setup required. ) Easily find entertainment with your smartphone keyboard View larger Find your content faster Now you can avoid frustrating on-TV keyboards. Use your smartphone/tablet keyboard or speech recognition capability with the Harmony App to find your content faster on Apple TV, Roku or Amazon FireTV. Also works with Windows PCs and Macs. Turns your smartphone into a Harmony controller View larger Harmony App for smartphone or tablet Anyone in the house can download the app and turn their smartphone or tablet into a personal universal remote. With one-touch activity control, you just tap ?Watch TV? or ?Watch a Movie? and Harmony powers on the right devices to the right settings. Simply swipe and tap to change channels, adjust volume, fast-forward and rewind. Plus, you can organize and re-order buttons, activities, and up to 50 Favorite channel icons* the way you like them?right on your smartphone. (** Channel availability subject to your local service provider. ) Easy guided online setup View larger Easy guided online setup Simply download the Harmony App to your computer or your iPhone 4S or later or Android smartphone with Bluetooth Smart Technology. Screen prompts make it easy to set up your app and remote with commands for your devices. Live customer support is ready to help if you need it. Universal remote for times when your smartphone isn?t handy View larger Comes with a handheld remote for the house This simple all-button Harmony universal remote gives everyone at home easy control of your entertainment system when your smartphone or tablet isn?t handy. It also works with Harmony Hub for control of devices in closed cabinets. More Information Coming Soon. Powerful home entertainment and automation control: One remote easily controls entertainment devices plus connected lights, locks, thermostats, blinds, sensors, and more Intuitive color touch screen: Simply swipe and tap to control channels, movies, 50 customizable channel Favorites and home automation devices such as Philips hue lights or Nest Learning Thermostat Harmony app: Turns iOS or Android smartphones or tablets into a second, personal universal remote control Closed cabinet control: Included Harmony Home Hub lets you control devices in closed cabinets Simple setup on computer or mobile app for control of 15 home entertainment devices and unlimited home automation devices: Works with over 270,000 devices, including your TV, satellite or cable box, Blu-ray player, Apple TV, Roku, Sonos, game consoles, Philips hue lights and more.